We all have those partially-finished projects tucked away in a closet or hidden in the garage. They are projects we started with enthusiasm but abandoned with half-hearted intentions to get back them “someday.” We get distracted by the things going on around us or a newer, shinier toy. Maybe we give up in discouragement because things just aren’t turning out like we planned. Sometimes we even cut corners to speed up the process only to find out that those corners were pretty important. Consistently working for the glory of God means we must trust Him each step of the way, no matter how long it takes, to finish the work He has given us to do. Noah was a man who walked with God in the midst of a godless culture and violent, corrupt people. Because of his faith, God gave Noah a very important job to do. He gave Noah specific instructions on how to build an ark to save his family and at least 2 of every kind of animal. Despite the size of the task, the long hours it took to complete and opposition from those around him, “Noah did everything just as God commanded him” (Genesis 6:22). He didn’t give up but stayed focused on the work in front of him. He didn’t cut corners but followed each step of God’s very important plan. Noah worked diligently and God remained faithful and saved him and his family from the flood of judgment. 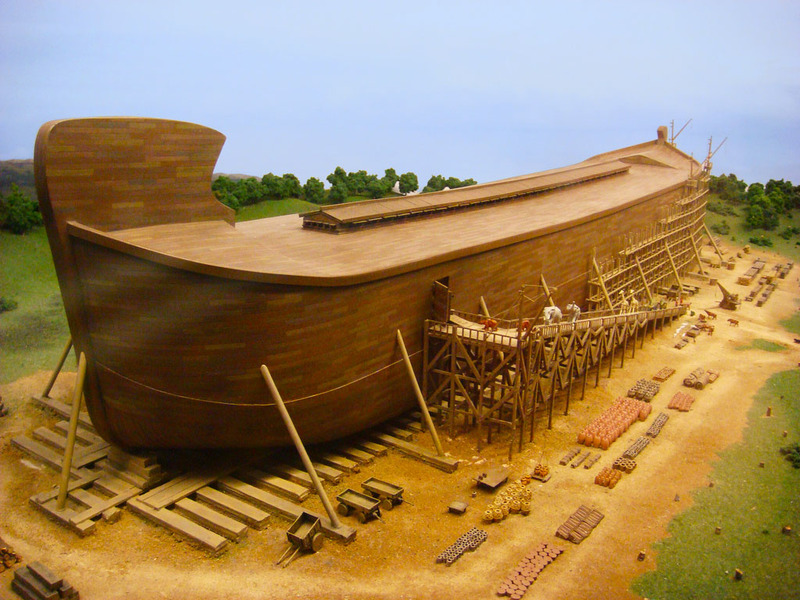 What could have happened if Noah hadn’t followed each step of God’s instructions carefully? What if he had given up, gotten distracted or skipped steps? What are some things that discourage you from completing a task? What can easily distract you from the work you need to do? When are you most tempted to skip steps and not complete the entire job? Read the memory verse, 1 Corinthians 15:58. How did Noah live out that verse? How does that verse encourage you to remain diligent in your work? What is one thing you need to have diligence in order to finish this week? Find a “make from scratch” recipe for your favorite cookies. Gather all the ingredients and set them on the counter. Talk with your kids and ask them what they think will happen if you don’t follow the directions and leave out some of the ingredients. Mix together some of the ingredients but leave other ones out. Bake a few cookies from that batter. What happened? Now finish your batter so it contains all of the ingredients. Ask your kids what they think will happen if you use a different temperature or time while baking. Bake a few cookies using the wrong temperature or too much time. What happened? Finally, bake the rest of your cookies following the recipe exactly. Talk about what happened when you were diligent to follow the recipe. Share your finished cookies with your neighbors! When was the last time your kids didn’t finish something they started? Ask them why they didn’t finish. Ask them what they think they are most easily distracted by. What can easily steal their attention from what they’re doing? When are they tempted to cut corners or take shortcuts? Talk to them about what makes them feel discouraged. What makes them want to give up on something or stop trying? Ask them what makes them feel encouraged. What makes them want to keep going and work hard? Share what easily distracts or discourages you with your kids too. This week, when you see your kids getting discouraged or distracted instead of staying diligent, encourage them in the ways they said help them keep focused on their work until it’s done. As a family, choose one spiritual discipline that you can each do every day this week. It could be praying, reading your bible or working on memorizing a verse. Each person is responsible to be diligent to do this discipline themselves each day. As a parent, be sure to model this diligence for your kids. Let them see you reading your bible, praying, journaling, memorizing or whatever your choose to do as a family. Be the good example you want them to follow. Kids are more likely to be diligent themselves when they see diligence modeled by their parents. At the end of the week, talk about what you did. You can even choose something new to do next week. Thank God for the work He has given you to do. Ask Him to help you stay focused on what He wants you to do when you’re tempted to be distracted, give up or take shortcuts. Thank Him for walking with you no matter how long the road is or where it leads. Next week our finish line is I can work with all my heart for the Lord because He is coming again. Just like the bridesmaids in a parable Jesus tells in Matthew 25, we never know when He is coming back so we should always be ready and diligently watching for His return. How do you encourage your kids to finish what they start? What motivates them to stay on task and focus on their work? The post Diligence Keeps Us Focused on Working for the Glory of God appeared first on Watermark Community Church Blog.